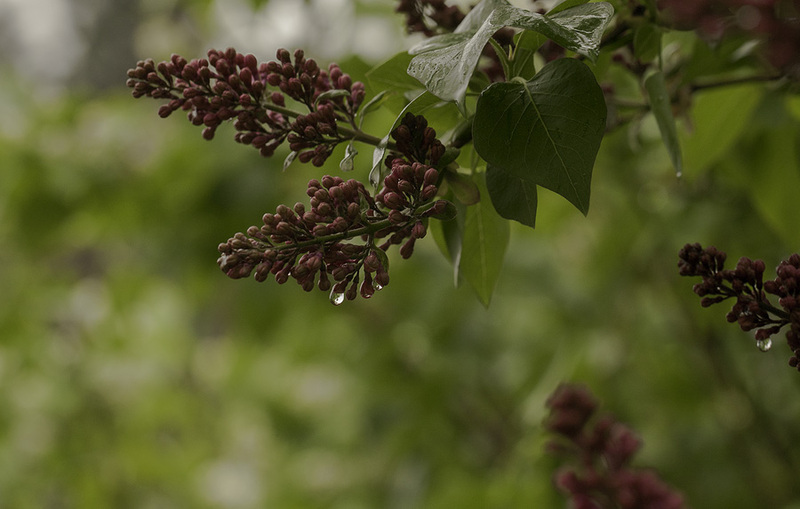 The spring rain, just before dusk, brings out an amazing saturation of color. It's almost like walking through the world we know every day with tinted glasses. This purple Eastern Lilac is ready to burst into bloom. What a gorgeous combination of reds and greens, set off by the dof and the bright raindrop. Beautiful shot.